Surf Communications Solutions (SURF), a global provider of high-capacity multimedia communication systems and applications, and Computer Telephony Distributing (CTD), a value-added distributor of telecommunication solutions, announced today that CTD will distribute SURF's Orion-MCU enterprise video conferencing solution all over North America. 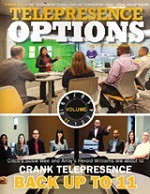 Computer Telephony Distributing (CTD) is a value-added distributor of Allworx, Konftel, ALGO, Ericson-LG, Zultys and many other telecommunications products. �With over 30 years of experience in the telecommunications and networking fields, the CTD team supplies full-service sales, technical support, product warehousing and professional services throughout the United States and Canada. Mr. Ilan Bluvstein , SURF's NA President and VP Sales, explained: "We are pleased to have the opportunity to work together with CTD, and expand the exposure of our proven video and voice conferencing solution in the dynamic North American market." "SURF's Orion-MCU video conferencing provides high-quality and reliable connectivity between remote offices & travelling employees, providing great value to enterprises as they reduce expenses and increase efficiency." Mr. John Groce , CTD's Vice President of Sales, added: "We find great benefit in SURF's solution for our customers, and we are pleased to take part in cooperative effort. We find that Orion-MCU offers easy integration and maintenance, with no additional infrastructure requirements, and at no additional expense." "We are eager to provide new and existing customers with a high-quality enterprise conferencing solution that saves them time and money without unnecessary overhead." 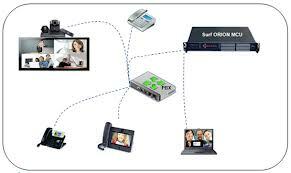 You can find SURF's Orion-MCU at IT Expo East in Miami in CDT's booth #801 between January 30th and February 1st. 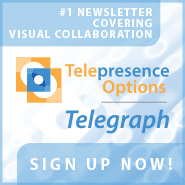 With customers all over the United States and Canada, Computer Telephony Distributing (CTD) is a value-added distributor of products within the computer telephony and VoIP technology space. Our value-added services include full-service sales and technical support, product warehousing and fulfillment, and reseller-oriented professional services. Mr. Ilan Bluvstein , SURF's NA President and VP Sales, explained: \"We are pleased to have the opportunity to work together with CTD, and expand the exposure of our proven video and voice conferencing solution in the dynamic North American market.\"
\"SURF's Orion-MCU video conferencing provides high-quality and reliable connectivity between remote offices & travelling employees, providing great value to enterprises as they reduce expenses and increase efficiency.\"
Mr. John Groce , CTD's Vice President of Sales, added: \"We find great benefit in SURF's solution for our customers, and we are pleased to take part in cooperative effort. We find that Orion-MCU offers easy integration and maintenance, with no additional infrastructure requirements, and at no additional expense.\"
\"We are eager to provide new and existing customers with a high-quality enterprise conferencing solution that saves them time and money without unnecessary overhead.\"